Beijing is a famed historical and cultural city with a thousand years of history. It was the capital of five dynasties. In the over 800 years starting from the Jin dynasty, numerous grand and magnificent palaces were built, making Beijing the city with the largest number of imperial palaces, gardens, temples and mausolea built in the most diversified styles in China. Temples and places of religions scattered about Beijing, including: the Buddhist Fayuan Temple, Tanzhe Temple, Jietai Temple, Yunju Temple and temples at Badachu; the Taoist White Cloud Temple; the Islamist Niujie Mosque; Tibetan Buddhist Yonghe Temple; Catholic Church of the Saviour and St. Joseph’s Church; and Christian Gangwashi Church and Asbury Church. The Great Eight Sights of Yanjing refer to the eight scenic sights in ancient Beijing, including Jimenyanshu (Xitucheng), Lugouxiaoyue (Lugou Bridge), Jintaixizhao (Jintai Road), Qiongdaochunyin (Beihai Park), Juyongdiecui (Badaling), Taiyeqiufeng (Zhongnanhai), Yuquanbaotu (Yuquan Mountain) and Xishanqingxue (Fragrant Hill, Badachu). 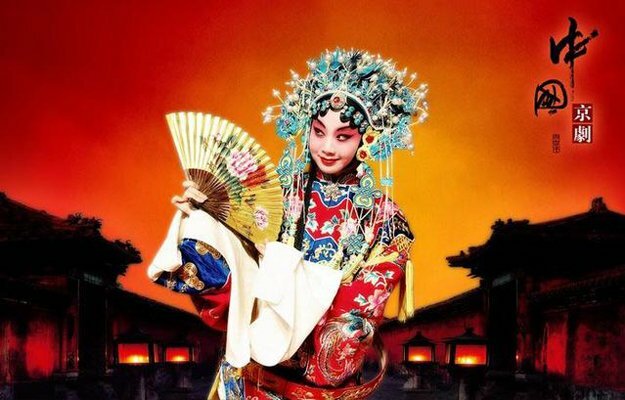 Beijing opera is the quintessence of Chinese culture and is highly favoured by Beijing people. Walking along the streets of Beijing, one often hears bits of the melodious opera waft down the road. Hutongs are one of the greatest features of Beijing local dwellings that date back to the Yuan dynasty, and refer to alleys in Mongolian. They spread across Beijing and are well over 7,000 in number, each with its own story to tell. A siheyuan is a traditional courtyard residence enclosed by four buildings, whose outer walls make up those of the hutongs. The building positioned to the north and facing the south is considered the main house, adjoined by side houses on both sides, that is, east and west. Apart from the gate, no window or passage leads to the hutong. It is quiet, closed and a traditional Beijing residence. The Beijing city axis refers to the central axis of the city of the Ming and Qing dynasties that runs from north to south, starting at the Bell and Drum Towers in the north and ends at Yongding Gate in the south. It is about 7.8 kilometres in length with the Forbidden City at the centre and is notable for the symmetrical city planning along it.